Beer is heavily regulated, and each state controls who can legally consume it, how it can be consumed and where and during what hours it can be sold. Every state, and the District of Columbia, imposes an excise tax on beer in addition to the federal excise tax. Nebraska collects the tax from distributors who make tax payments on their purchases, which minimizes the number of taxpayers and results in an efficient method of tax collection. All states require extensive record keeping by distributors and Nebraska requires that beer must “come to rest” within warehouses, insuring that it does not avoid the state liquor tax. 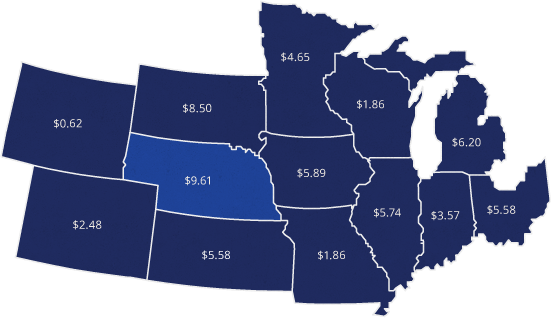 Nebraska has the highest State Beer Excise Tax of any surrounding state in the Midwest.